Buying a family car will entail looking into different considerations as compared to buying a car solely for personal use as a single individual. For one, family denotes having several members . Although a married couple with two children can still comfortably fit in a regular car, it will not be so when there are more family members or the general lifestyle requires more cargo or baggage area. More passengers mean more space is required. Failure to consider this aspect will make the car purchase useless. Just imagine having to leave behind some members of the family for a special family occasion or having to find another car to fit in the rest. 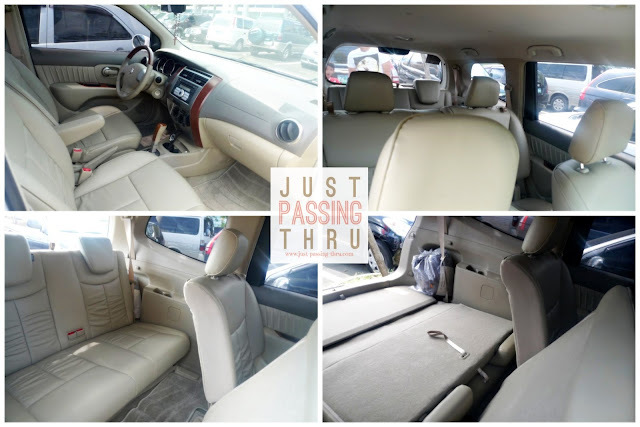 A true and ideal family car needs to be able to accommodate all the members of the family and their personal belongings while still providing enough elbow room for comfortable seating. Family cars must be reliable in terms of performance. The last thing anyone would want to happen is to be stranded on the road with young children. Research and recommendation from friends and relatives usually are able to point a potential car buyer towards the right choice. Cars used by families must be fuel-efficient because of the expected number of trips that will be made. Fuel-guzzlers are definite no-nos for reason of practicality. Money spent on excessive fuel required can be put to better use by the family. Cars are required to have specific safety features but even more so for family cars that are expected to carry children. Some of these are head protecting side-curtain air bags, child safety locks, electronic stability control, and anti-lock brakes. Other safety features such as car seats for very young children are purchased separately and used in the car. Anti-stain and anti-odor upholstery is recommended for the usual spills that happen when there are children in the car. Family cars must score excellently in crash tests. Children tend to get bored very easily in long trips. It would be ideal to have rear-seat entertainment center to keep them occupied. This will lessen unnecessary movements inside a moving car that can be distracting and dangerous. Like it or not, children must be kept comfortable and contended in cars. It would be wise for parents to encourage games that will require the use of the mind rather than the body. Family cars must also offer flexible seating options such as third row seating, seats that fold unto the floor for extra cargo space, or swivel seats with removable table. Swivel seats can be turned 180 degrees to turn backward. This provides an area for playing board games and eating. Buying a car is a major investment. What makes a car truly functional for its owner is the fact that it can perform according to actual needs. A sports car does look good in the garage but it will never be suitable for family use. That said, we will never go wrong if we buy cars based on our actual needs. Cars have become a necessity today and buying one is justified and expected especially for growing families. It would be best to choose sensibly. Ferrofluid is a portmanteau of ferromagnetic and fluid. A quick reference to Wikipedia reveals that it is a liquid that becomes strongly magnetized in the presence of a magnetic field. It is also said to be composed of nanoscale particles less than 10 nanometers in diameter of magnetite, hematite, and some other compound containing iron. Ferrofluid has applications in electronic devices, mechanical engineering, materials science, analytical instrumentation, medical applications, heat transfer, optics, and art. If the barrage of scientific terms is confusing you, fear not for you are not alone. I am at a loss as to how ferrofluid can be applied in the realm of educational toys and simple entertainment. 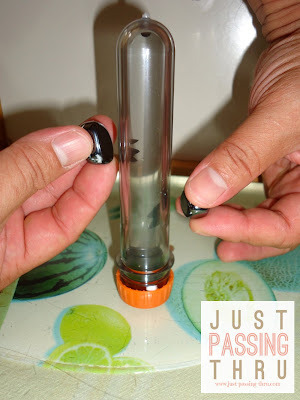 What then is a Ferrofluid Toy? It appears that there are several versions of ferrofluid display available in the market. They are not considered toys but more of a gift item commonly displayed on office desks. These displays are marketed as science-based amusement or boredom busters. 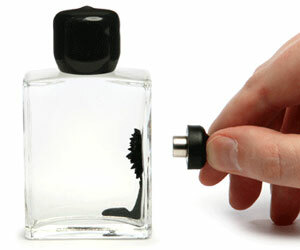 The ferrofluid that comes in a clear bottle can be made to "dance" all around with the use of magnets. The ferrofluid toy is based on the same principle of science-based amusement. The video above can provide a clearer idea. 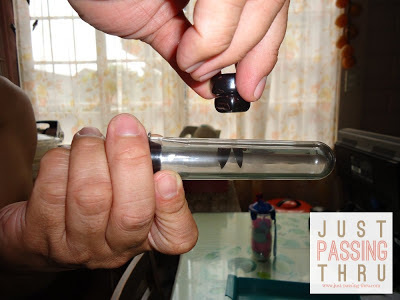 In spite of all the scientific gobbledygook, it is essentially magnetic magic in motion inside a glass container that proposes no complicated use. Just a simple distraction toy to while away the time while learning a thing or two about nanotechnology. According to the manufacturer's website, this educational ferrofluid is safe to use as the test tube comes with a harmless liquid encased in a protective shell. Every once in a while, we come across unique toys, geeky toys even, that seeks to bring science outside the laboratory. I have always believed that part of the fun of studying science is learning to understand what we don't normally do. 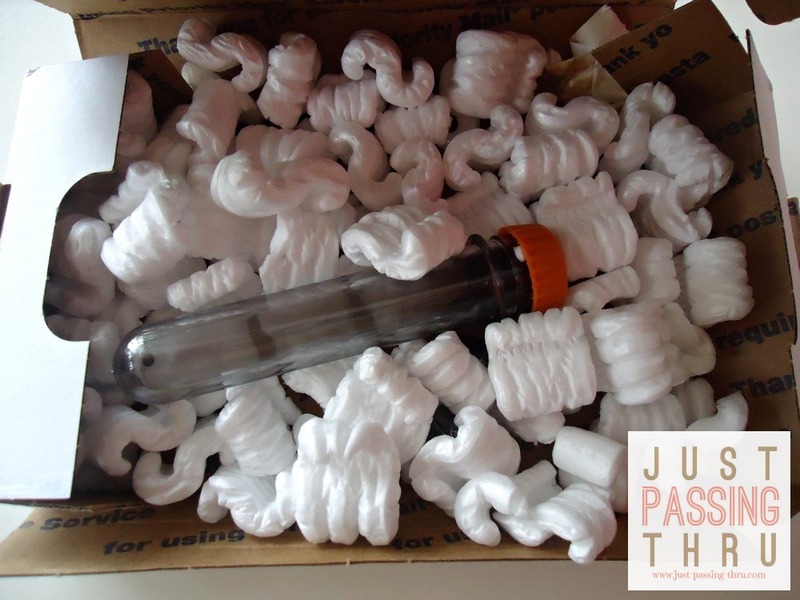 Science discovery is more fun especially for children when packaged with amusement and entertainment factors. That said, this simple toy offers a respite from the usual fare of play and amusement. Fatherhood with Humor - that is how I would describe my husband's fatherhood style with my children. Although he takes his responsibilities and duties as a father quite seriously, he never fails to put in some dose of humor and play as he tries with me to raise our children well. 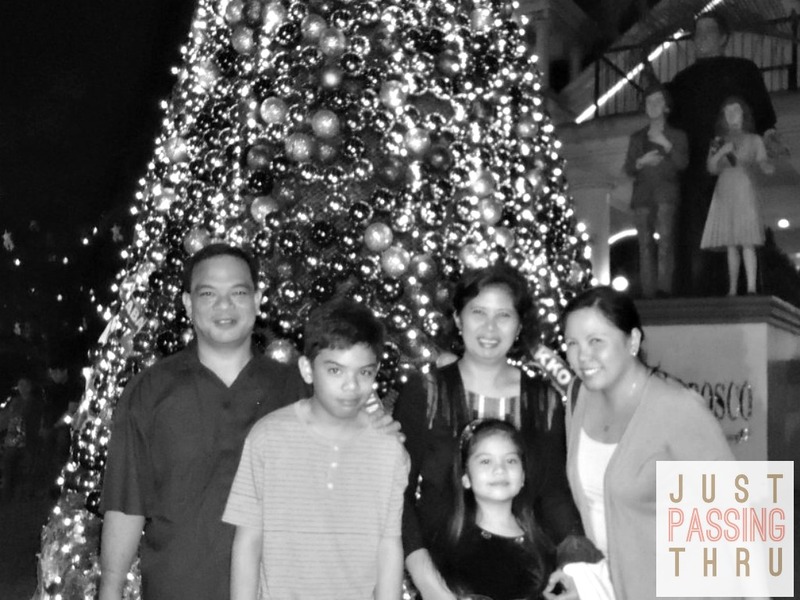 In our family set-up, it seems to be that the role of the strict parent has been left especially for me. During my own growing up years, my own father was the picture of the strict disciplinarian parent. One look from him was enough to remind me that I should behave. Joking with him was kind of unthinkable for me. The boundaries were very clear between a parent and a child. As I grew older though, my father learned to relax a bit from his rigid father posturing. I couldn't really blame him though with his traditional way as it was the prevailing way during his own time. I can't help but see the difference between fathers then and now as more fathers today try to act more like friends than parents. I am all for this friendship thing between parents and children but respect for the status of the parent should never be lost along the way. Family psychologists are encouraging parents to do likewise for better family relations. It has to be remembered though that children still need parents to be parents. This means that children can still expect guidance from a responsible adult. Children with their young minds need parents to say no when it is needed. Respectful friendship is about being able to say what is necessary as well as being able to enforce rules and standards with no love lost because of doing so. Part of being friends with children is the capacity to humor them. Young children especially, follow more easily when dealt with through some play time and use of imagination. Humoring older children involves thinking at their level and seeing things in their young perspective. When fathers give time for play, relaxation, and bonding with their children, they are able to forge ties that are not easily broken. It provides children good memories to look back to. It makes children remember them in a very comforting and loving way. When my own children look for their father first, I would know that what they need has something to do with play and fun things to do. I get more nervous when they look for me first since that would mean serious matters are at hand. It would be a common scenario at home when we are complete for my husband and my two young children to be watching TV or playing board games while I do my writing work. Schoolwork time means I take over. That said, while I do acknowledge the need for myself to be more playful and relaxed with my children. I am grateful that it comes naturally with my husband. I have never seen a father so dedicated with his children that I once said to him that if he was half as much dedicated to me, everything would be well with us. LOL! The first day of the new school year still appeared to come as a surprise to my children even if they have known the date since enrollment time. Clearly, they are torn between excitement for the opening of classes and the hesitation to leave the revelry of summer. Mixed emotion is not only felt by children as parents find themselves torn by relief in having their children back to school again and anxiety with the expected pressure that come with having classes. Every start of the school year, our family holds a "meeting" to talk about certain guidelines we all agree to observe during the school year. This talk will include matters about taking responsibility in studies, what to do during emergency situations in school, basic safety precautions, handling allowances, and choosing friends. These agreed guidelines are intended to provide a semblance of order in the often chaotic rush made up of assignments, projects, tests, and school activities. 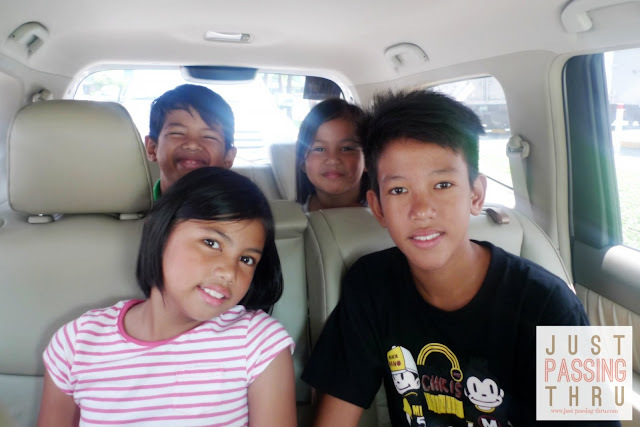 Now that my two younger children are reasonably able to take care of themselves, they are expected to be responsible in copying assignments given by teachers, advising us parents of any school requirement that we may need to provide for them, as well as to study and make their assignments. It is our duty as parents to check their finished work and teach them should something need to be corrected. They are also expected to take good care of their things to avoid the additional burden of buying again and redoing any previous school work. We have advised our children to follow instructions of their teachers during emergency situations. It is also our agreement that they will wait only for us to fetch them as we will come no matter what happens. We have also asked our son to find his younger sister if this is at all possible and permitted by the teachers and to stay together so there will be no need to look for them in different places. We have instructed our kids not to do anything that poses any danger to them, even under extreme peer pressure. They are also never to go with any stranger even under the pretense of being instructed by us as we will never send strangers to get them. For anything that makes them uncomfortable in any way, we ask them to inform their teachers right away. My children are sent to school with complete food needs for the whole day. They are expected to finish the food and not waste them. My son is given a minimal weekly allowance for emergencies and additional food needs just in case. My younger child is not yet given any money to bring to school. Our advise in choosing friends is not in any way connected to choosing based on looks, social status, intelligence, and like qualities. We simply ask them to find friends that will provide good influence in their attitude and studies. Beyond that, they can form their own circle of friends as they wish. Parents often forget that children need to be reminded once in a while how to conduct themselves suitably and safely outside the home. Going to school is a year-in-year-out activity that it is almost automatic for some parents to presume that children will know what to do. It wouldn't hurt to provide timely reminders. That said, we trust that God will keep our children safe as they go out into the world. We pray that our children will know what to do in any eventuality. Most of all, we parents pray that we will be there to protect them when the time comes. Talking with children about sensitive issues is not easy. Because of the level of thinking of many children, parents cannot always expect to be understood in the way they are wiling to explain. One thing is clear though, sensitive issues cannot be evaded forever. It is always best that children hear hard facts from parents instead of unverified story versions from others. In every family, even among seemingly perfect ones, there are certain issues that touch a raw nerve. This pertains to matters that families would rather not talk about because they tend to bring back painful memories. These are very sensitive family issues that can result to hurt feelings or alienation among family members. The main thing about sensitive family issues is that they tend to come out in the open, sooner or later. Often, the more questions are evaded, the more questions arise. Examples of sensitive family issues include reason for separation of parents, infidelity and the existence of another family, and the like. Children are actually more intelligent of the facts of life than what we give them credit for. They may not know the exact story but they feel and recognize certain undercurrents that prod them to ask questions. They know when parents are bluffing, evading their question, or out-rightly telling a lie. They may be silenced for some time but they will come back to ask the same questions until they are satisfied with the answer they get. Telling the truth may be for the best interest of everyone but it is usually the most difficult thing to do with sensitive family issues. This is especially so if the one asking for an explanation is a child who parents believe may not be fully equipped to understand decisions made by adults. There is however, no going around the issue and facing children's questions require parents to be truthful and sensitive to the feelings of a child. Parents should realize that the time for reckoning will come and they should be ready for it. They must be able to provide their answers that can be understood by the level of thinking of a child as determined by his or her age. They can be spared the gory details but must be given the essential truths of the circumstances. The main objective of explaining to a child is not to create animosity or gap between family members. It is a fact however that the truth sometimes result to this. The challenge lies in preserving family unity and respect in spite of the painful truths. As a teenage wife who then had to suffer the pain and humiliation of catching an unfaithful husband, I am willing to concede that I could have handled my eldest child's questions a lot better. I tried to make myself believe that saying nothing to her would save her the pain of knowing the truth. Instead, I sent the wrong message that made her think that I was to blame for the breakdown of my first marriage because of my unforgiving stance. It took quite some time before she understood after I started opening up myself to her. Yesterday, my teenage son made some mathematical calculations and was questioning me about the discrepancy of my eldest daughter's year of birth and the year of my marriage to his father which was a good 16 years difference . My husband and I have not yet come to the part of explaining the real situation to him and his younger sister and they have always known my eldest child as their older sister with no ifs nor buts. I expect to be having a talk with my son very soon. I used to be afraid as I wondered if my younger children will think any less of me once they know what really happened. Today, I am confident enough to expect that nothing will change in our family except perhaps to draw us closer as our humanity gets exposed to one another. Of course, knowing that I was not the offending party helps a lot in my confidence. It would be so awkward to be preaching honesty and fidelity to my children if I did not practice it. That said, the primary reason why I decided to reveal a very personal side of me through this blog is to leave answers to my children just in case they didn't hear me right the first time. There will be a right time for everything and parents will know that time to talk about sensitive family issues with their children when it comes. Build love and respect first in the family and every sensitive family issue will eventually find its resolution.